Visiting Bhutan? You have made an excellent choice! Here's how to enter Bhutan from India by road, by train, and by air. After Nepal, the country on my itinerary was Bhutan. The small Himalayan kingdom of Bhutan had attracted me since a long time and I was finally able to visit this beautiful country. My upcoming articles with highlight everything I have experienced in Bhutan. From their hospitality to their food to their traditions – I will try to cover it all. In this article, I will explain how to enter Bhutan from India. This article will cover all possible ways of entering Bhutan from India for Indians as well as foreign nationals. 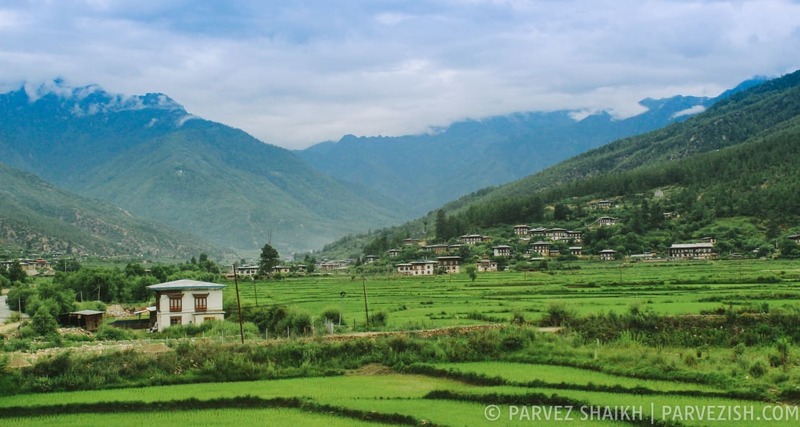 Should You Enter Bhutan by Road or by Air? I was initially planning to enter Bhutan by road as I wanted to travel through the beautiful scenery. I had to change my decision when I was in Nepal and I flew from Kathmandu to Paro. At the end of my Bhutan trip, I exited from Phuentsholing into India by road. Flying above Bhutan is an experience of its own. The beauty you will observe from your airplane’s window is something you might not have seen in a while. Although the connectivity is limited, you should definitely fly to or from Bhutan at least once. Traveling across Bhutan through the curvy roads with sharp turns is something you must experience. Driving on these roads should be on every traveler’s list. The scenery around Bhutan’s roads is so magnificent, you might want to stop in the middle of the road and just observe the beauty. Right. So, should you enter Bhutan from India by road or by air? I will suggest you do both. Depending on your itinerary and budget, you can either fly into Bhutan and exit by road or enter by road and exit by air. I will leave the decision up to you and explain how to enter Bhutan from India by road and by air. Bhutan is a landlocked country and shares its borders with India and China. Nepal, Myanmar, and Bangladesh are close to Bhutan but they don’t share borders due to Indian territory in-between them. Entering Bhutan by road is only possible from India. There are three borders between India and Bhutan that are open for tourists: Jaigaon – Phuentsholing border, Bongaigaon – Gelephu border, and Darangamela – Samdrup Jongkhar border. You can enter Bhutan from any of these borders but I suggest you choose the Jaigaon – Phuentsholing border which is the most popular (and easiest) entry/exit point for tourists. Jaigaon is a busy town on the Indian side of the border in West Bengal. Phuentsholing – also spelled as Phuntsholing – is Bhutan’s financial and industrial hub in Chukha district. Phuntsholing serves as the primary entry point to Bhutan. 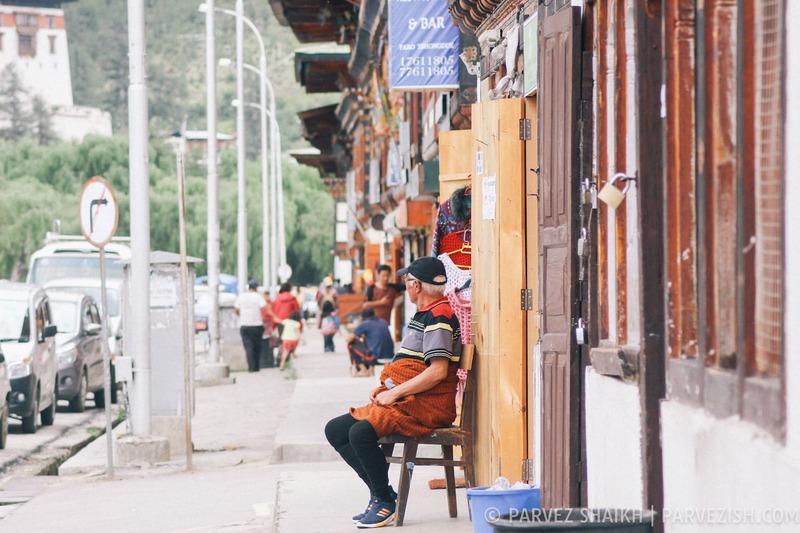 The town is well-connected with other parts of the country by roads and it’s easy to find regular buses to Paro and Thimphu. You can reach the Jaigaon – Phuentsholing border either by bus or by train. I will explain both options below. There are regular direct buses to Phuentsholing from Kolkata and Siliguri. 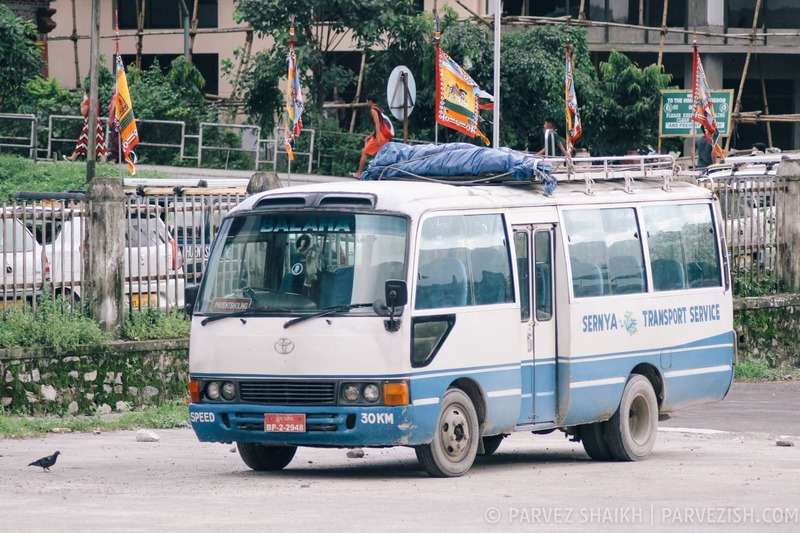 These buses are run by Bhutan government and offer an economical way to reach Bhutan. Buses leave from Kolkata’s Esplanade bus station and the ride to Phuentsholing can last up to 24 hours. If you are not used to long bus rides on bumpy roads, you better avoid this option. Unless you are on a very tight budget, you can take a train from Kolkata to Hasimara and enjoy a little more comfortable journey. Another option would be to fly from Kolkata to Paro. Read more about this below. There are regular direct buses from Siliguri bus stand to Phuentsholing, too. It should take about 4 hours to reach Phuentsholing from Siliguri. Travel Tip: Have a look at Bhutan bus schedule before you create your itinerary. You should book your bus ticket a day before your departure. Visit the bus station, inquire about the timing, and purchase your ticket. Reach the bus station 30 minutes prior to the estimated departure of the bus. Located around 20 km, Hasimara is the nearest railway station from Phuentsholing. The nearest major railway stations are New Jalpaiguri and Siliguri – both located around 150 km. 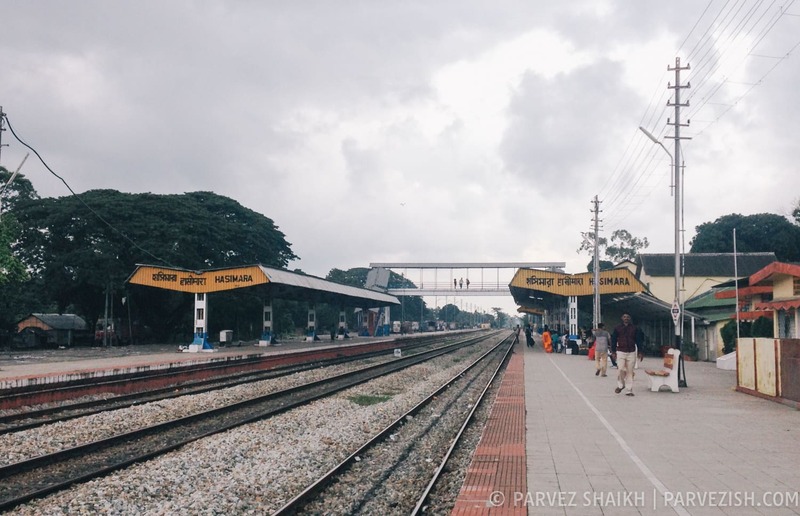 If you choose to travel by train, you will have to reach either Hasimara, New Jalpaiguri or Siliguri depending on the train connectivity from your location. Once you reach Siliguri or New Jalpaiguri, you can board another train to reach Hasimara. If you do not wish to wait for another train, you can hire a taxi to reach Jaigaon or board a bus from Siliguri to reach Phuentsholing as explained above. Once you arrive at Hasimara, you will have to hire a private/shared auto or a taxi to reach Jaigaon. Passing through some beautiful tea gardens, it will take you about 30 minutes to reach Jaigaon from Hasimara. If you are planning to enter Bhutan from Assam, India, then take a train to New Bongaigaon railway station. Once you reach New Bongaigaon, you will need to hire a private taxi to reach the Gelephu border. The distance between New Bongaigaon and the Gelephu border is about 60 km and it should take about two hours. This is another way to enter Bhutan from Assam. To enter via this border, you will have to reach Rangiya Junction by train and then take a taxi to Darranga – Samdrup Jongkhar border. The distance between Rangiya and Darangamela is around 50 km and it shall take a little more than one hour. Paro airport is the only international airport of Bhutan. 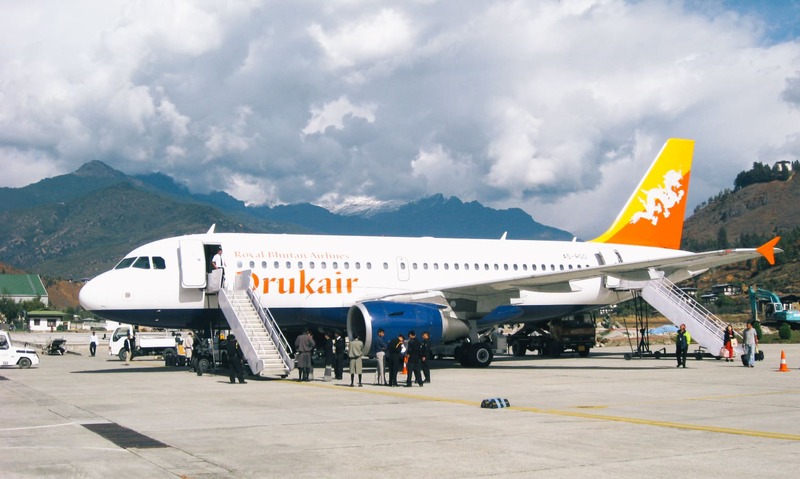 Bhutan’s flag carrier Drukair operates flights to and from Paro on a regular basis. Paro is connected with India’s five international airports: Delhi, Kolkata, Bagdogra, Mumbai, and Gaya. There are regular flights from Delhi, Kolkata, and Bagdogra to Paro. Flights from the rest of the two airports are seasonal. To book a flight to Paro, head over to Drukair’s website. If you are a citizen of SAARC member-country, select SAARC under nationality before you search for flights. Indian travelers should select SAARC, for example. Good to Know: Paro international airport is one of the most challenging airports and very few pilots are certified to land there. Flights are only allowed during daytime. A hint of bad weather will lead to delay or even worse, cancel a flight. Be prepared for such situations. Although I have written this article keeping Indian travelers in mind, other foreign nationals can follow the same directions. There are three things foreign nationals should keep in mind while entering Bhutan by road from India. One: Indians, Bangladeshis, and Maldivians do not need a visa to enter Bhutan. All other foreign nationals must obtain a valid visa through an authorized tour operator in Bhutan prior to their visit. Read Understanding Bhutan Visa Requirements for more information. Two: You must get your passport stamped on the Indian side before leaving India. After this, you can walk into Bhutan and get your passport stamped at the checkpoint. You will be denied entry into Bhutan if you don’t have an exit stamp from India. Three: Keep in touch with your tour operator. All transportation is arranged by them. Ask them to suggest the best way to reach Bhutan and from where should they pick you up. There are three borders between Bhutan and India that are open for tourists. Jaigaon – Phuentsholing border is the most preferred way to enter Bhutan by road from India. You can board a train to reach either Hasimara, New Jalpaiguri or Siliguri depending on your location. From New Jalpaiguri or Siliguri, you can take a train to Hasimara. 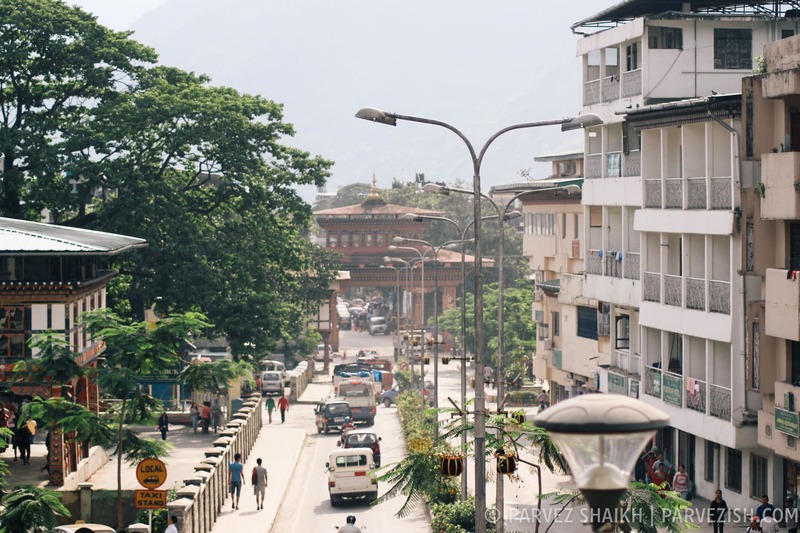 From Hasimara, you can take a short auto/taxi ride to reach Phuentsholing. There are direct buses to Phuentsholing from Kolkata or Siliguri. 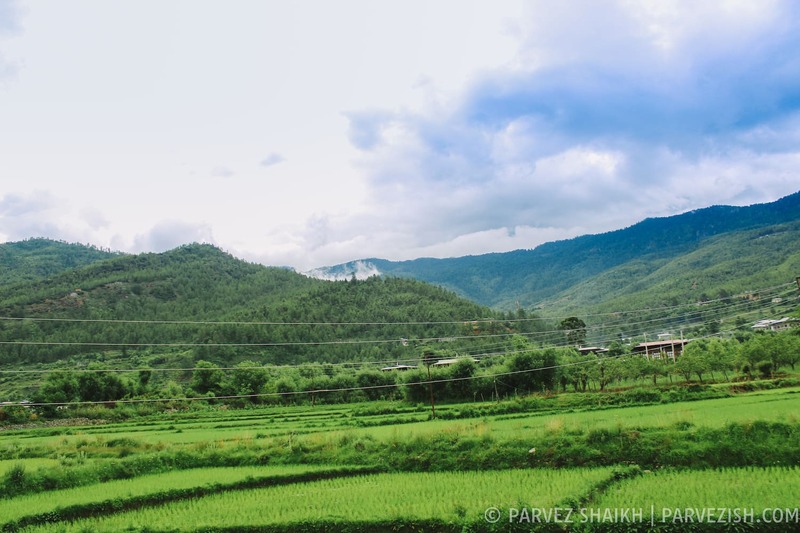 These bus rides are long and tiring but offer an economical way to enter Bhutan. You can also choose to fly into Bhutan from Delhi, Kolkata, and Bagdogra. Seasonal flights from Mumbai and Gaya are also available. Whether you should travel by road or by air depends on your location, budget, and travel preferences. I suggest you go for both to extend your pleasure. Have you already visited Bhutan? Did you enter by road or by air? Do share your experience. Could this article be improved? Feel free to share your suggestions. That’s it, ladies and gentlemen! You were reading about all possible ways of entering Bhutan from India on Parvezish. I hope you found this article useful and I would like to thank you for reading. Have a happy and safe jounrey to Bhutan! A Bhutanese fellow tells me that Indian tourists are not allowed to enter via Gelephu border. Can I enter through here and go to Thimphu or Trongsa? Hi Parvez.. Thank you for your post. I am Indian.. I am planning to enter Bhutan by Air and, like you, exit by road from Phuentsholing. I read in other posts that permit offices are open on weekdays only from 9 to 5. I have following questions. Could you please your responses? 2) Can i handover the permit at the time of exit at Phuentsholing on a Saturday evening if I start from Paro by road in the morning? Any suggestions on the entry/exit formalities and timings are welcome. The permit is basically the stamp on your passport which will contain the date until which you are allowed to stay in Bhutan. 2) Visit the bus station in Paro a day ago and get your bus ticket for Phuntsholing in advance for the morning bus. The earlier the better. It should take around 4-5 hours to reach Phuntsholing. Head over to the border gate and show the passport to get an exit stamp. I am not sure about weekend timings and will suggest you to avoid exiting on a Saturday. Hope this helps. Have a wonderful trip to magical Bhutan! Hi Parvez.. Thank you for the quick revert.. It is of great help! Hi Parvez, I plan to enter Bhutan from Kathmandu cut across India and reach Bhutan. However, I was told that only Indian citizens can travel by road/train from Nepal through India to Bhutan. Citizens from other countries can only enter Bhutan by air. Is this true? Phuentsholing, Gelephu, and Samdrup Jongkhar borders are open for all tourists. But in order to enter India from Nepal, you need an Indian visa. Also keep in mind that nationals other than from India, Bangladesh, and the Maldives need to arrange their Bhutan tour with an authorised tour operator. Contact them for more information.